Prayer is, quite simply, our friendship, our daily relationship, with God. It is responding from deep within to his love, bringing before him our worship and our hopes, as well as our brokenness and our fears. It is listening for God as well as speaking. In prayer, God strengthens and supports us as we open our hearts and minds to him. Because prayer is essentially “being with God,” it does not consist primarily in the words we say. 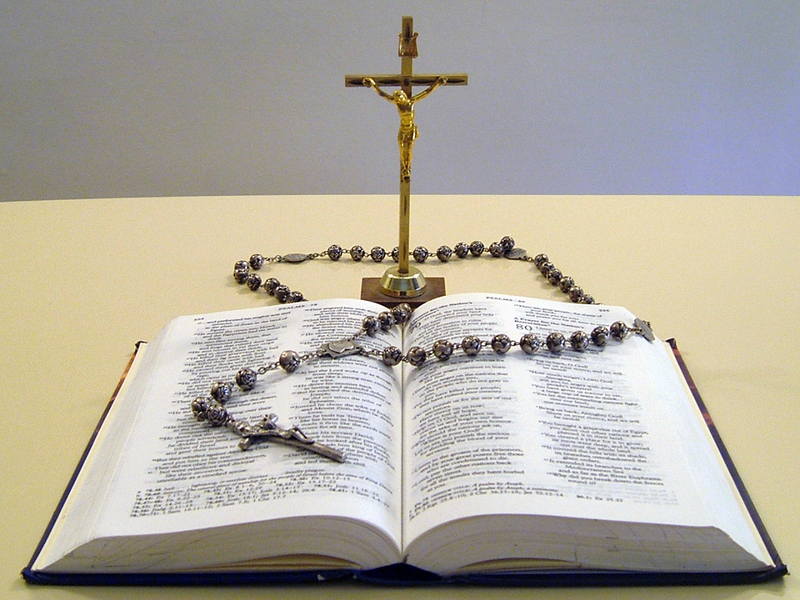 Words are important, of course, especially in the communal prayer of the Church. And some words have been hallowed by centuries of use. They are the “mantras” of the Christian tradition, having come to us across the centuries laden with their ancient power to raise our hearts and minds to God. It is sad that arguments continue in churches of various traditions about whether set prayers or spontaneous prayers are best. Some regard utter spontaneity as the best indication of particular closeness to God. Others would never dream of departing from the set words of a prayer book. Set words are very useful in public worship, for the celebration of the sacraments, and for landmark gatherings such as weddings and funerals. Ancient liturgical services in poetic language that is truly beautiful, help us to enter the great river of prayer that has formed and refreshed our community through the centuries. In private prayer, however, there are no hard and fast rules. It’s a matter of what is appropriate and meaningful for us personally. That can vary in different circumstances and at different points in our spiritual journey. Some people just “chat” to God; others like to sing hymns, psalms, worship choruses or simple Taizé chants; others use a prayer language (“speaking in tongues” ) the Holy Spirit has given them; still others stick to their books of devotion. Anglican clergy, like those of other traditional churches, are committed daily to a set structure of psalmody, readings and prayer that (with the Eucharist) forms the scaffolding of the spiritual life. I observe growing numbers of lay people incorporating abbreviated versions of these forms into their own life of prayer. The reality is that the daily prayer life of most Christian people is a blend of silence, spontaneity and set prayers. This ought not surprise us, for the Gospels clearly indicate that such was the experience of Jesus in the days of his earthly sojourn.